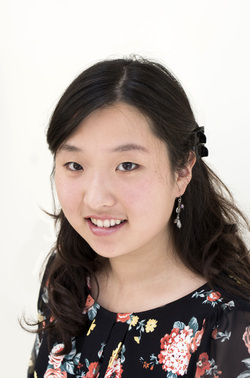 Born in 1991, Jinah Shim began learning the piano at the age of five with Rosie Cross. During her junior school years she represented the Northfield Festival at the National Piano Festival in London and was a winner of the European Piano Teacher’s Association competition, as well as being a finalist of the Glasgow International Piano Competition. She then went on to study with Professor Malcolm Wilson at the Birmingham Conservatoire on a full scholarship as a junior student. Notable past performances include Grieg's Piano Concerto in Birmingham’s Symphony Hall and directing Mozart's Piano Concerto No. 12 at the piano. She has performed other concertos with various different orchestras, including Rachmaninov’s Piano Concerto No. 2 at Birmingham Festival Orchestra’s inaugural concert under the baton of the current assistant conductor of the Hallé Orchestra, Jamie Phillips. She has also given recitals in London, Birmingham, Manchester, Malvern, Bewdley, Leicester, Alcester and Kent. In 2011, she won 'Chandos Young Musician of the Year' and was also the first Guildhall winner of the 2011 Enescu scholarship offered by the Romanian Cultural Institute. Jinah is currently a student of pianist Martin Roscoe at the Guildhall School of Music and Drama in London on a full scholarship and is grateful for the support given by the Worshipful Company of Builders Merchants.